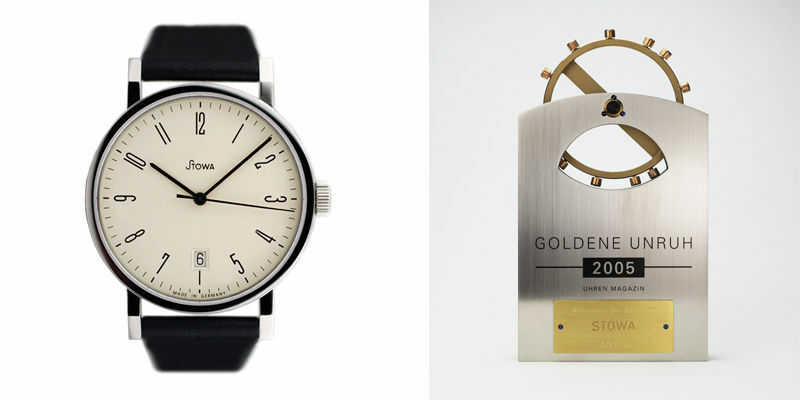 Since 1927, STOWA has constantly been building mechanical watches. The success from the Black Forest has produced many stories and, above all, many beautiful watches. Read and browse our timeline here. 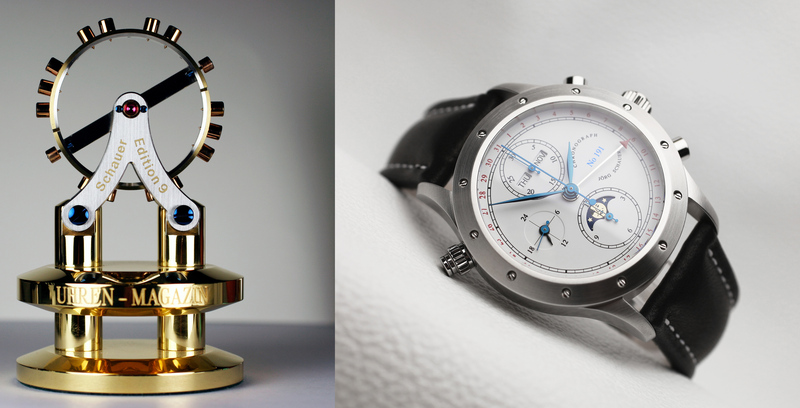 See when we launched our new and former watches on the market or when there were significant events. If there are further background informations we have linked the article to an additional page. Pictures can be enlarged by clicking on them. 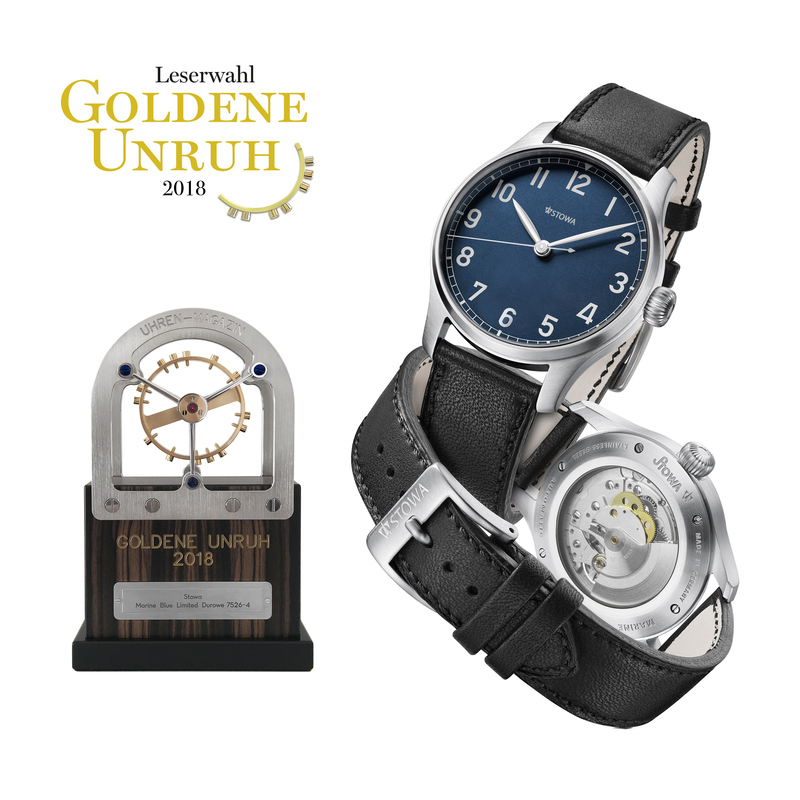 Again we won the popular contest >Goldene Unruh<, one of the largest watch votes in the world. Our limited and already sold out Marine Blue Limited watch wins this competition (in the very competitive category up to 2.500.- Euro!). We are very happy about the award and want to say thanks to all our fans worldwide! 2017. 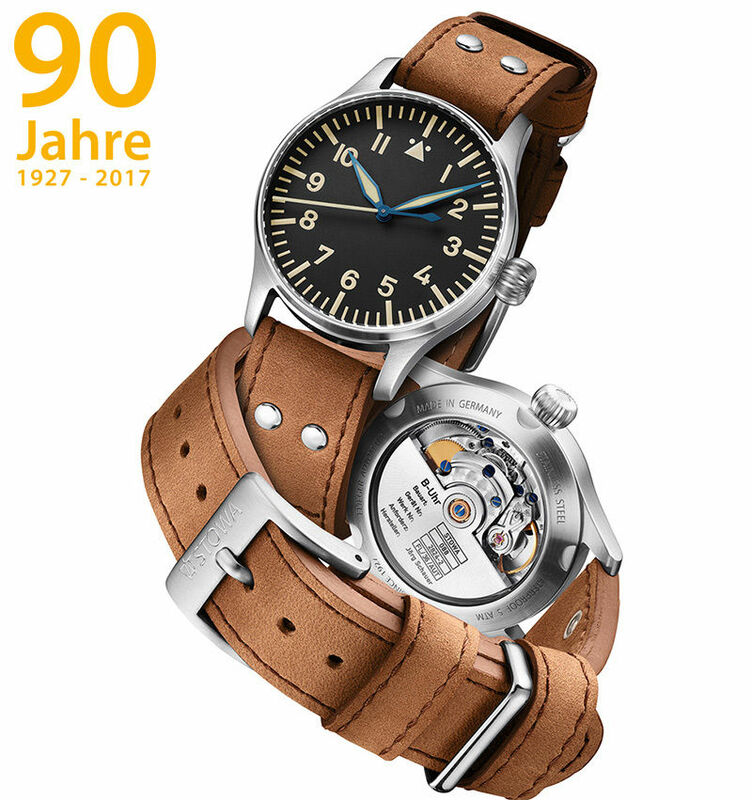 STOWA celebrates its 90th anniversary. There are some limited special series. In the picture you see a limited Flieger (Pilots-) watch in the popular "vintage style"
The Prodiver Olymp Bronze wins the watch vote! Again we won the popular online contest at Watchtime! For the fifth time in a row (!) our sports watch Prodiver wins this competition (in the very competitive category up to 2.500.- Euro!). We are not only very delighted about the award but also of the number of votes cast: No other watch (across all categories) has received more individual votes than STOWA: More than 2200 readers have chosen the Prodiver Olymp Bronze! 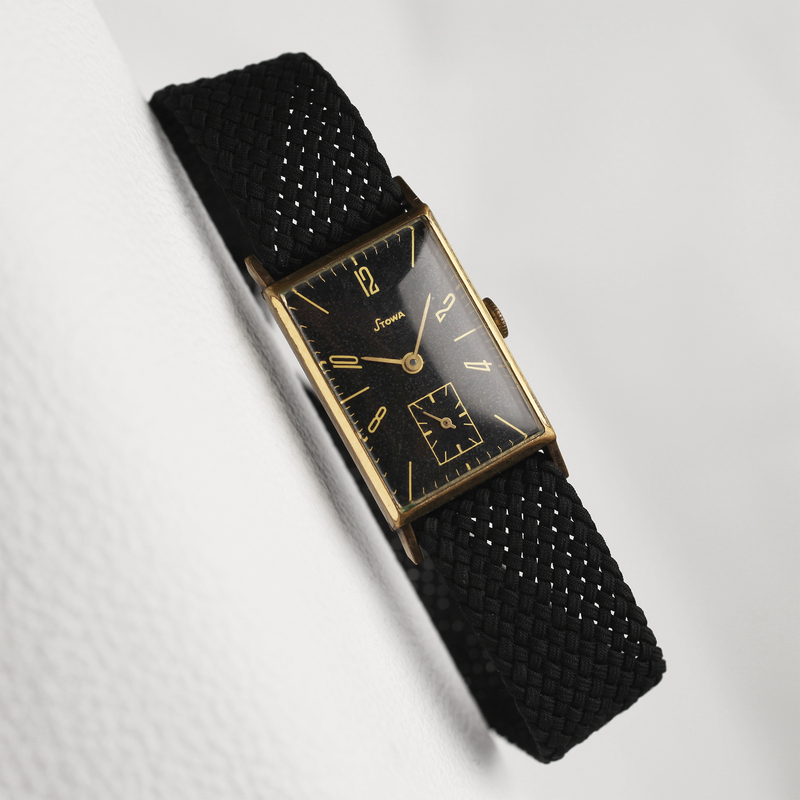 A customer like our Antea from 1938 so much, that he asked us to replicate this watch for him. We have done it since the watch with its double color itself is very nice. In addition, the dial with its fancy small second is very special in its design. Next to the new watch you see the original of 1938. The name of the new watch: Antea 1938 rose. 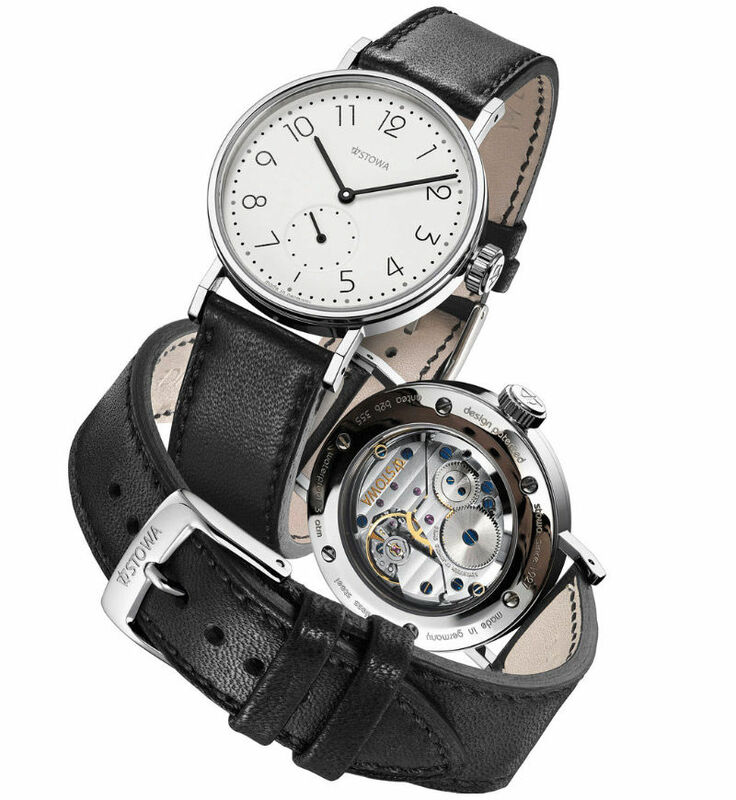 Would you like to experience a STOWA watch live? 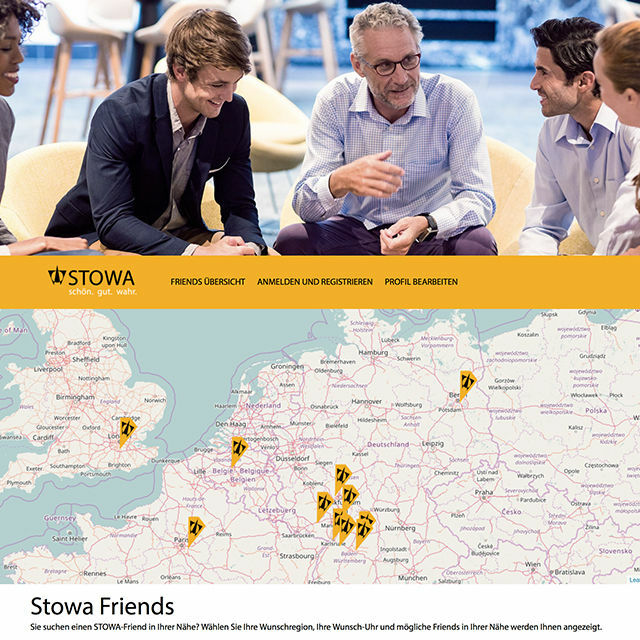 STOWA friends make it possible. There are worldwide very loyal STOWA customers/collectors who agreed to show their watch/ watches to you locally. 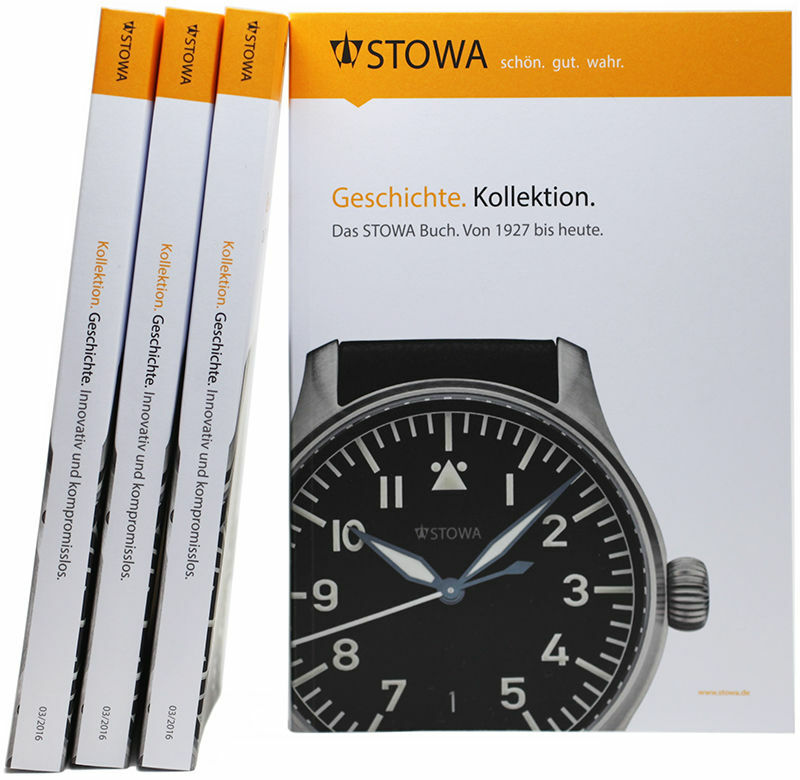 The STOWA book. 272 pages. 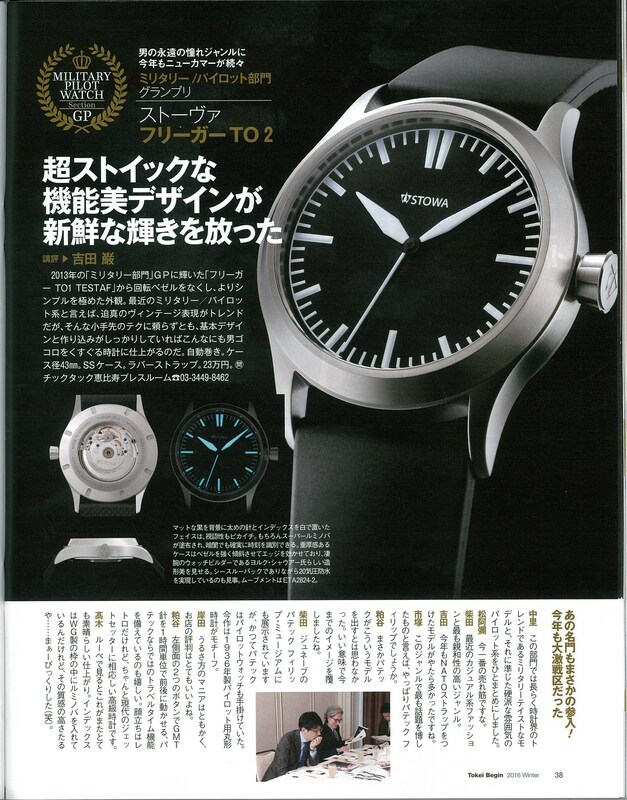 Not only the STOWA story is shown, but the book is also devoted to the "face of the watch", the dial. The theme (dial) design is worked up by numerous examples. Interesting and exciting. We will send you the book free of charge or you can also download it from the internet as pdf. From now on, we have again a handwinding movement for almost all models available: The beautifully finished ETA 2804-2 movement with golden STOWA engraving, Code de Geneve and blued screws. Whether the movement fits into your watch, you always see on the product-specific pages. Here is a small excerpt: Suitable for Flieger Klassik 40, Marine Klassik 40, Partitio, Antea 365 and 390 etc. A great event. 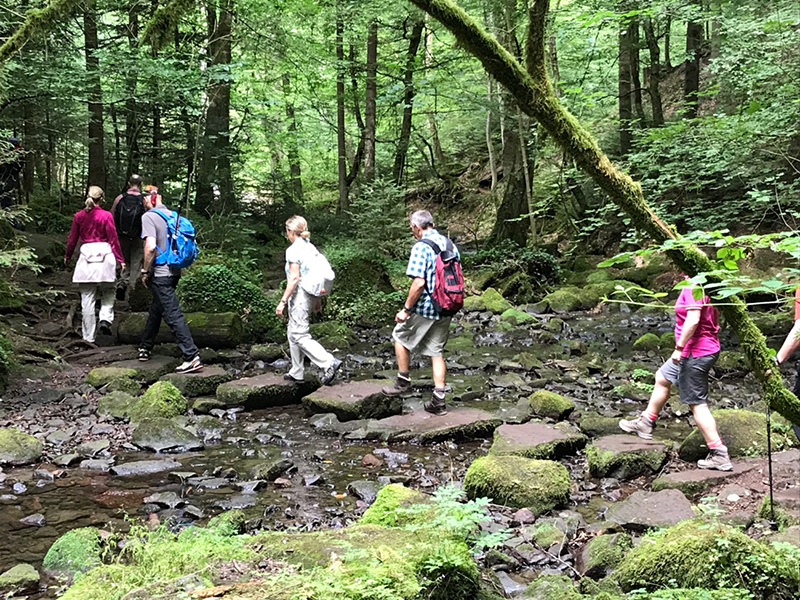 Watch collectors and friends of the house hike together and after this we enjoy the day with traditional Black Forest food, chocolate, fine wine and of course: watches! Since Friday June 24th it is certain: STOWAs' Flieger DIN Professional will be in no way affected by any physical stresses and strains in air traffic. Our new Flieger watch passed all tests straight away! 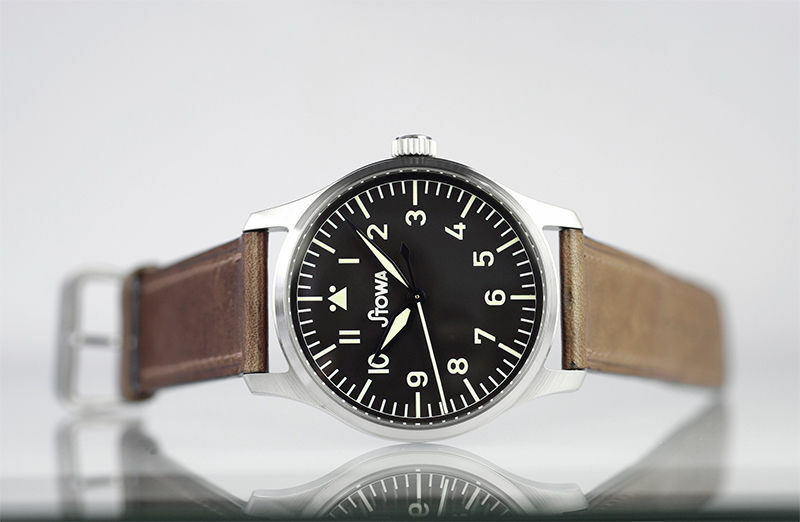 STOWA was actively involved in developing this new standard with the work group Flieger DIN. 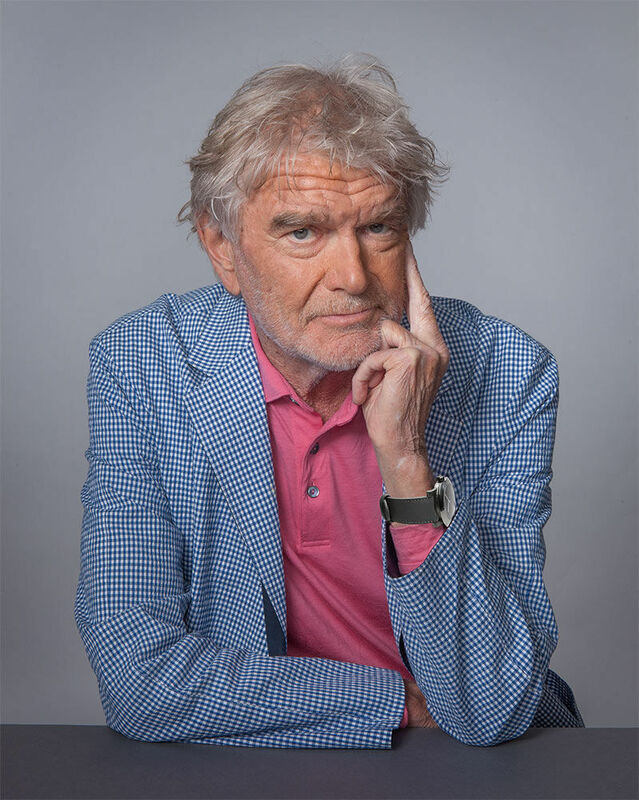 The new Flieger watch was designed by Hartmut Esslinger, the founder of frog design. Besides others he worked successfully for Wega, Apple, Sony and many more. 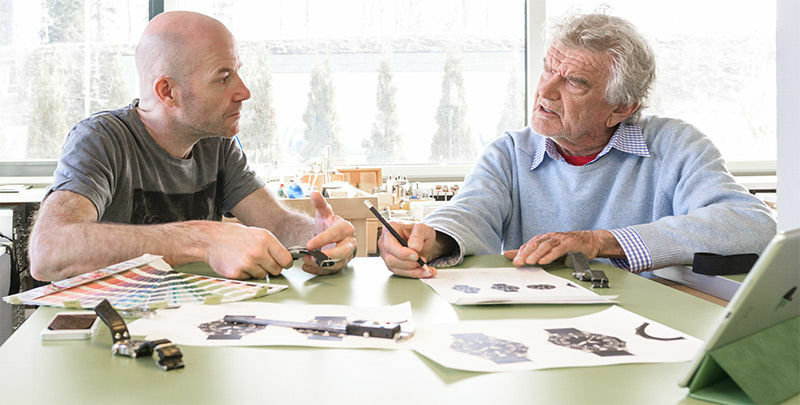 In the picture you see Hartmut Esslinger discussing a detail with Jörg Schauer. 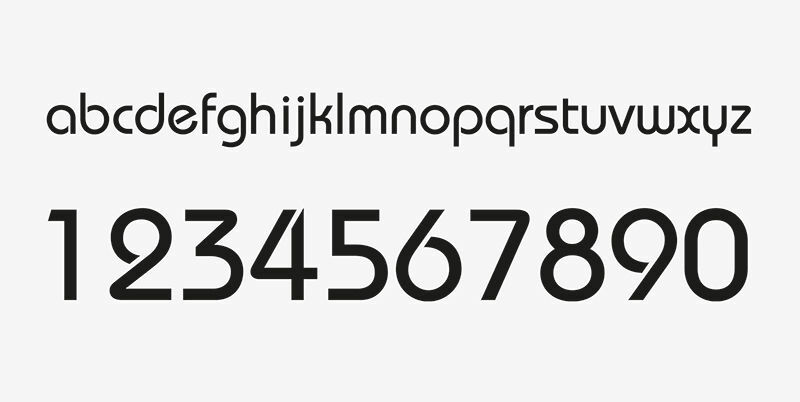 The font of the Antea back to bauhaus has its roots from the Bauhaus era (1919-1933). Herbert Bayer, a teacher at Bauhaus, has designed this font between 1925 - 1928. In 1975, Ed Benguiat and Victor Caruso have evolved the font in different cuts. It thus creates a new original and could have decorated the model Antea back then. Therefore, we called it back to bauhaus. 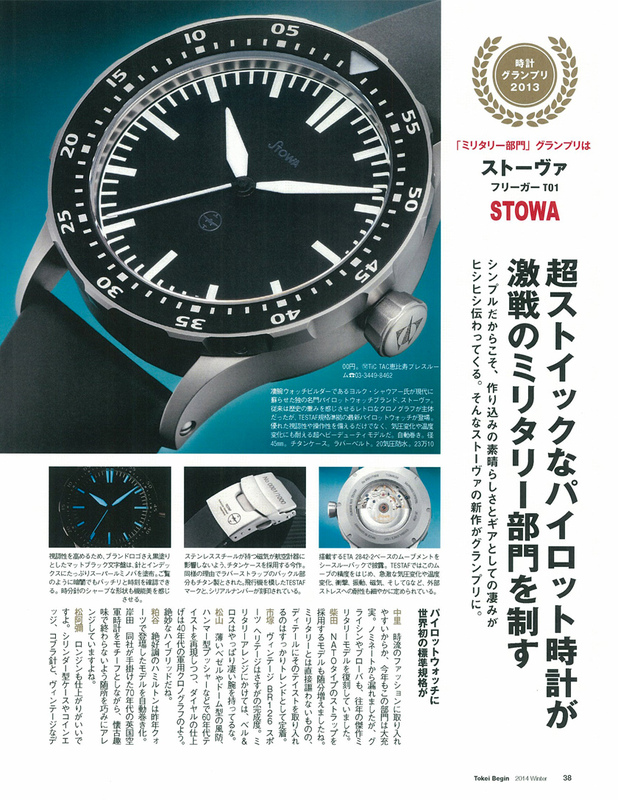 STOWA TO2 wins again the Japanese Watch Grand Prix in the category "Military Pilot Watch"
Munich: STOWA Flieger Klassik Sport wins the Munichtime vote. Once again, mechanic lovers met in Munich on the Munichtime. In 5 categories the visitors chose their favorite watch. Our model Flieger Klassik Sport reached the first place in the category up to 2,500 Euro! Inspiration: Physically, almost all watches look like they did decades ago. Styling watches are only modified visually. Experiments with mechanical gadgets are now the way of differentiation. When it comes to dials, they are graphically overloaded – to the user’s confusion. The reading of the time seems secondary. Conceptually, the STOWA Rana is a watch in accordance with Bauhaus: technically intelligent, culturally inspiring and simple. 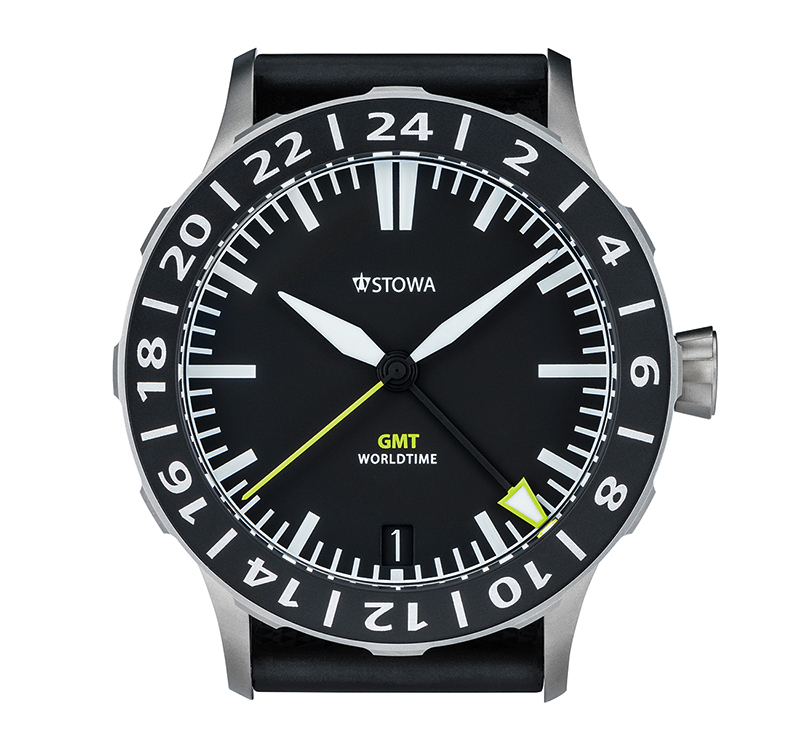 Munich: STOWA Flieger GMT wins the Munichtime vote. Once a year, mechanic watch lovers meet in Munich on the Munichtime. In different categories, visitors choose their favorite watch. Our model Flieger GMT reached the first place in the category up to 3.000.- Euro! 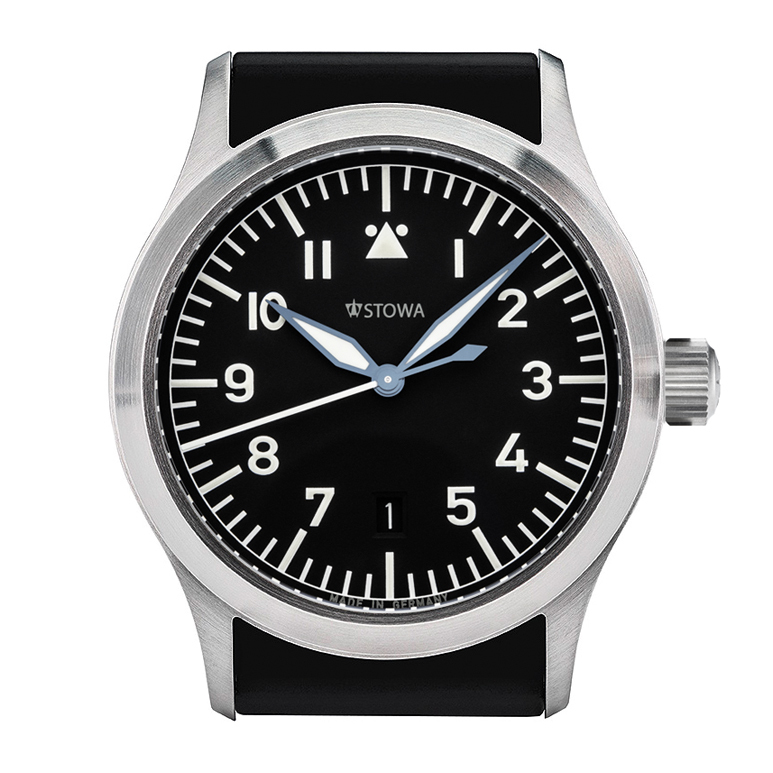 TESTAF (technical standard for pilot watches), the standard for pilot watches since 2012. Developed by the FH Aachen. For the first time, a clear technical and functional requirement catalog is presented, which determines what requirements pilot wristwatches must meet today. In the picture you see the current STOWA TESTAF TO1 which got the certification in 2013. 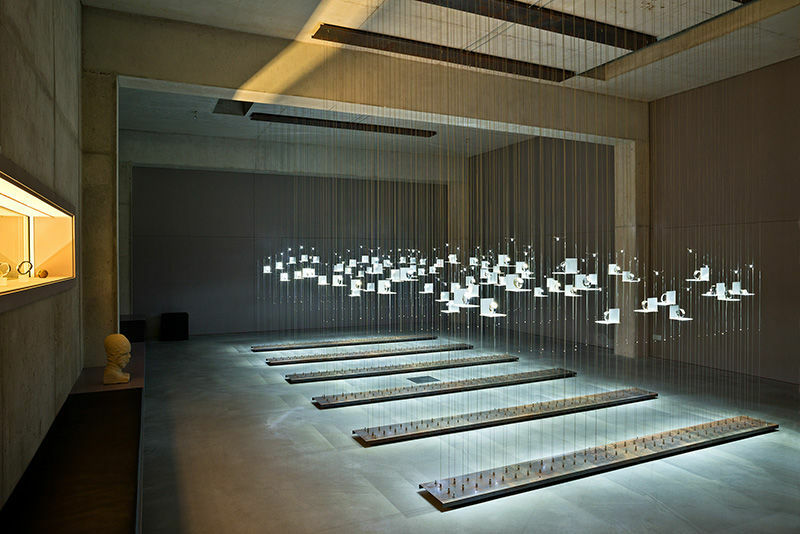 STOWA TESTAF TO1 wins the Japanese Watch Grand Prix in the category "Military"
In 2008 and 2009, STOWAs' company building is newly constructed and the STOWA museum is established. 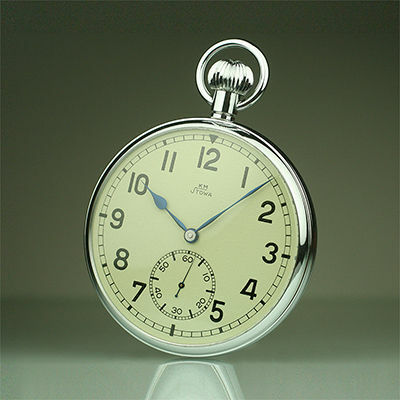 The modern STOWA museum houses many well-preserved STOWA watches. A great source of inspiration and evidence of a long and unbroken corporate history. 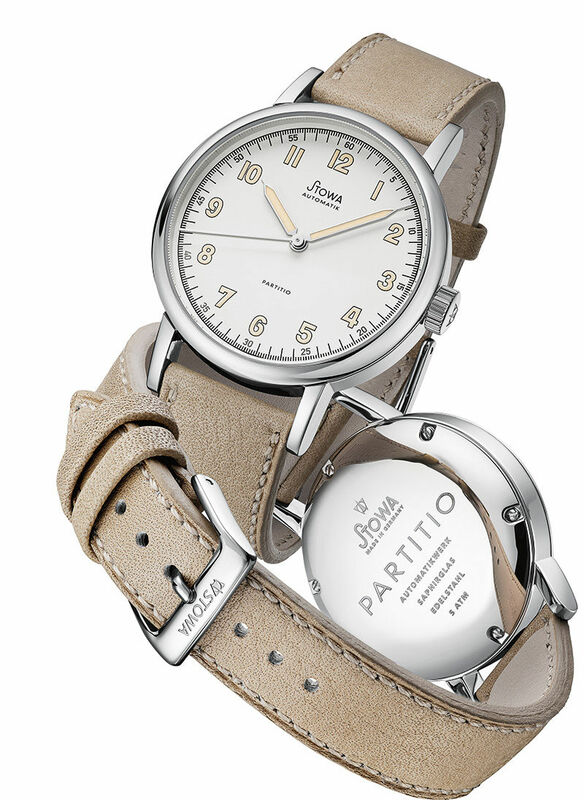 A remake of another historic STOWA watch is created in 2008. The special feature of this model from the 1930s is the fine dial scaling. The model name Partitio (lat. : division) has been derived from that. The original features luminous hands and numbers and a mechanical handwinding movement. Although we have modernized the casing of the watch, the dial and the hands remained true to the original. The historical Partitio next to the current black dial version. 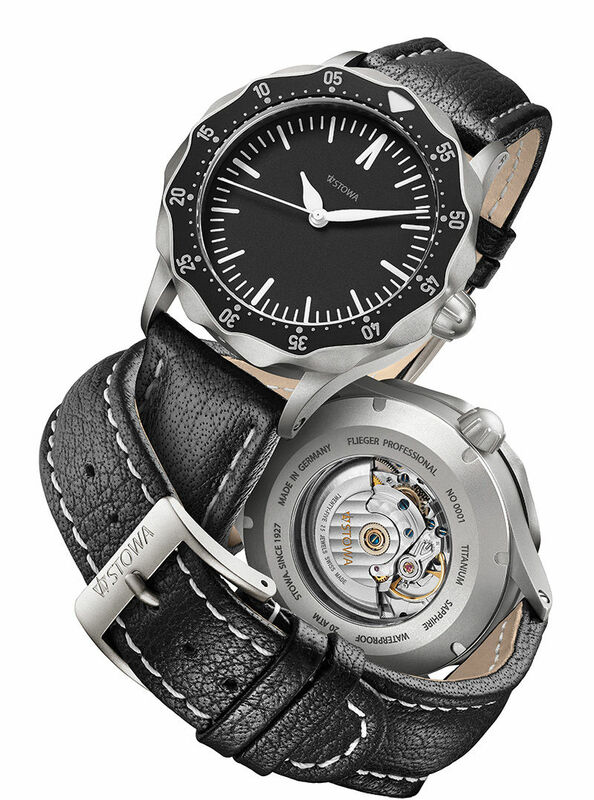 STOWA wins the award for the best watches of the world in 2005 for the first time, an audience prize presented by watchtime.net, UHREN-MAGAZIN, Focus and Focus Online. The winning model: Antea creme automatic with sapphire caseback. 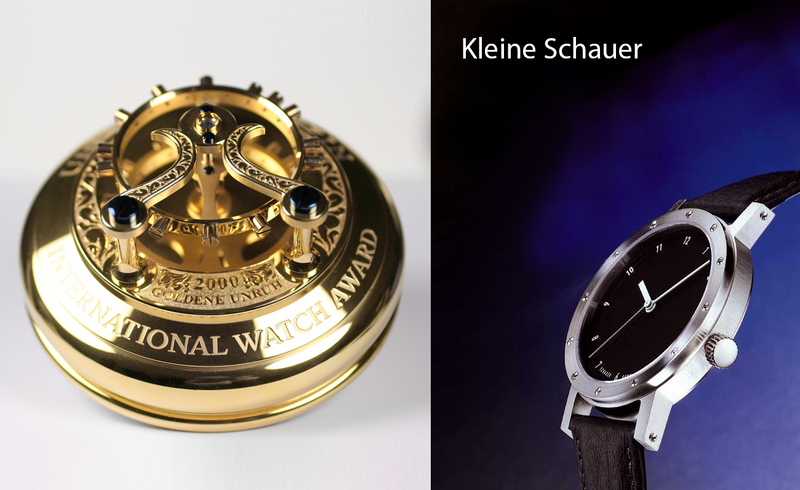 Edition 9 Schauer Chronograph wins the Goldene Unruh 2002. Model Kleine Schauer wins the Goldene Unruh 2000. 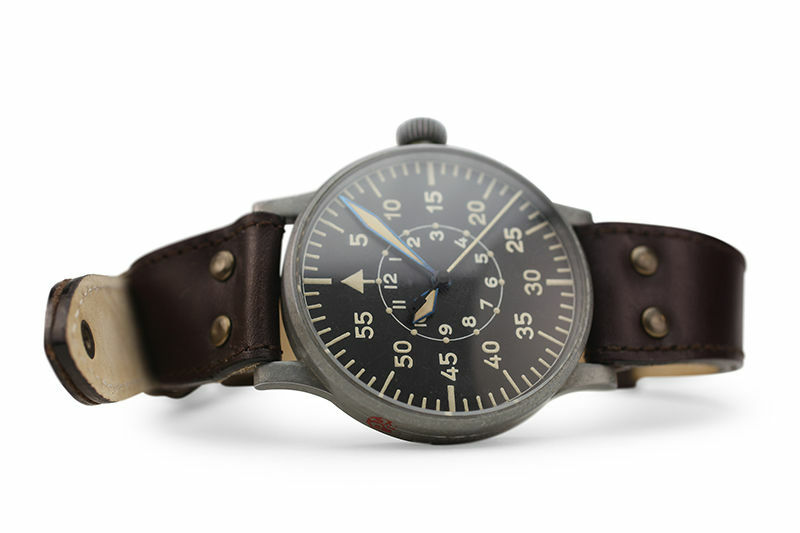 STOWA presents the new Flieger watch (Pilots watch). 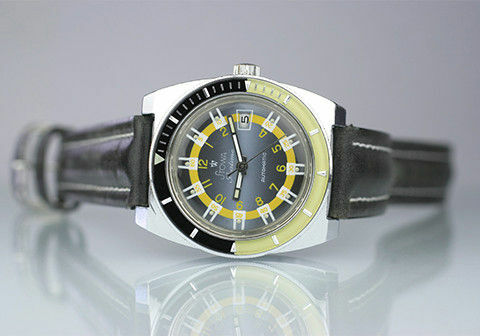 In a 40 mm stainless steel case and with hand winding movement Unitas 6300 N. Only 70 pieces have been built. 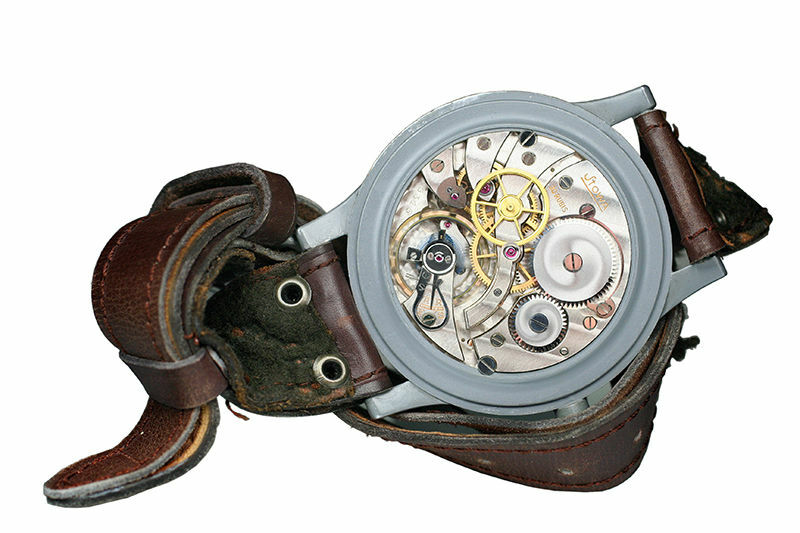 We still produce this watch since 1997 without big changes. In 1996, Jörg Schauer acquires STOWA from Werner Storz and hence all trademark rights. 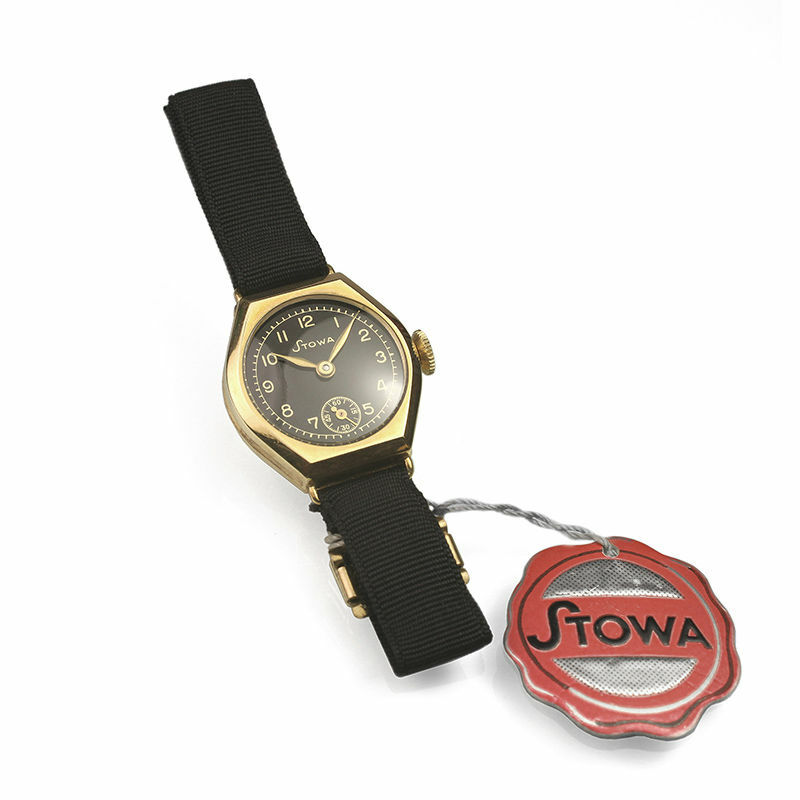 In 1963, the name of the product STOWA Seatime, a precursor of today's Seatime series, is copyright reserved. In 1960 the son of the founder, Werner Storz, joined the company. He managed it very successfully until 1996, before selling it to Jörg Schauer (for lack of a successor). Hannover fair in 1956. 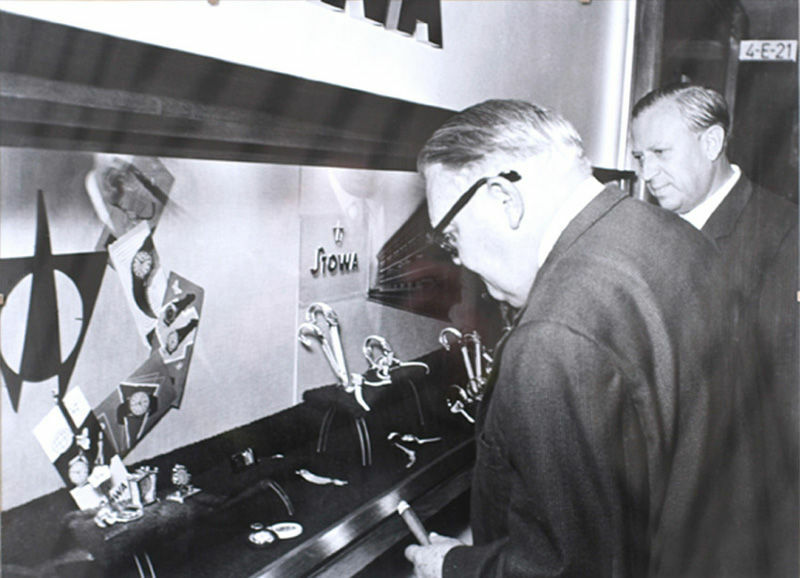 Ludwig Erhard visits the STOWA booth and Walter Storz shows him the collection. From 1949 to 1963, Ludwig Erhard was Federal Minister for Economic Affairs and was regarded as the father of the "German economic miracle" and the social market economy, which still determines the economic system in Germany. From 1963 to 1966 he was the second Federal Chancellor of the Federal Republic of Germany. In 1957 he published the book "Prosperity for All". The RUFA (Rheinfelder Uhrteilefabrik) was founded to produce impact protection systems for PUW and Durowe movements. Built in 1938 and destroyed in 1945, the STOWA building was rebuilt in the 1950s. A new building in Rheinfelden is build in 1951, which is extended in 1954 and 1966. At the same time, the head office in Pforzheim is also being rebuilt. 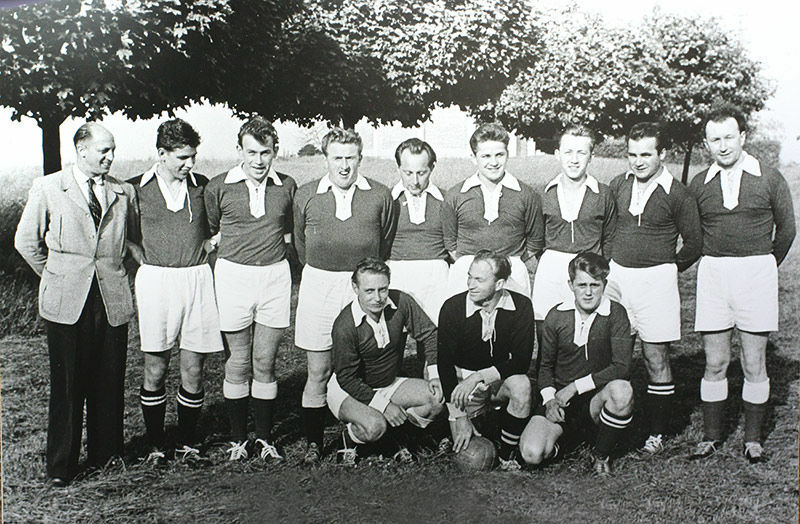 STOWAs' soccer team and the founder Walter Storz (standing on the left side). On 23 February 1945, the building in the Bismarckstraße is completely destroyed while Pforzheim is being bombed. 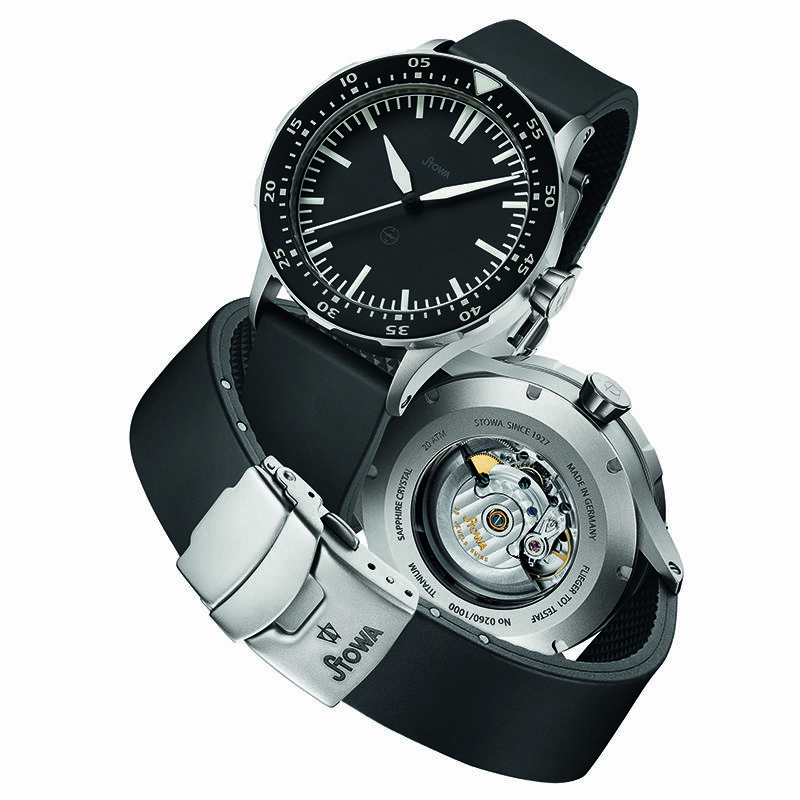 The watch production is relocated to Rheinfelden in the same year. 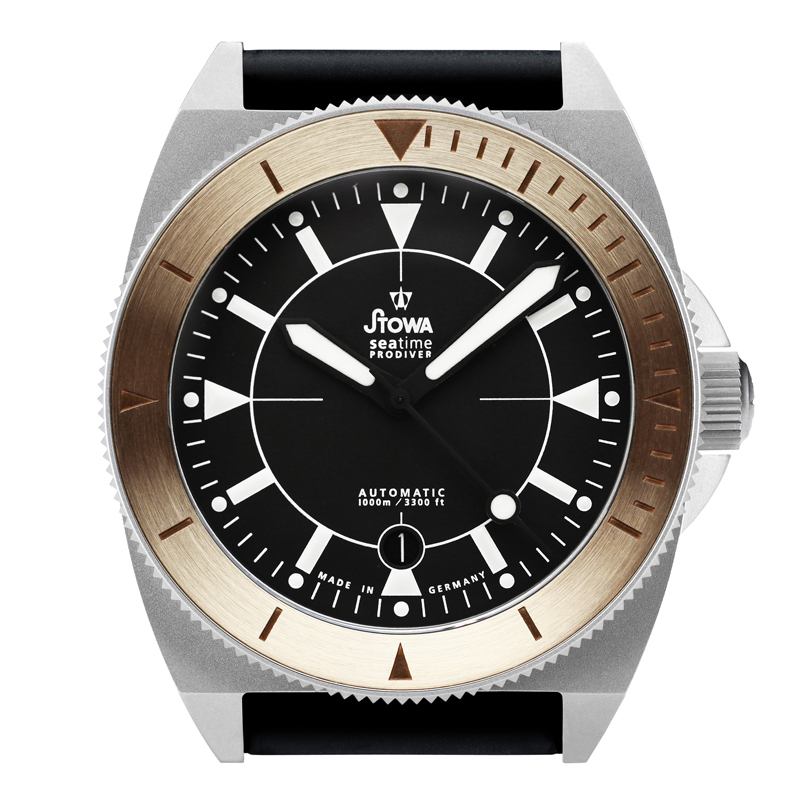 STOWA Marine watch. Alignment on the oceans. Without B-Uhr (Marine watch) no alignment on the oceans. The beginnings of these watches, also called B-Uhren, Marine watches or Captains watches, go back to the british marines. To locate the exact position of their many ships on the oceans, they needed instruments to determine the time exactly. The famous, british watchmaker John Harrison constructed the first sea chronometers in the early 18th century. 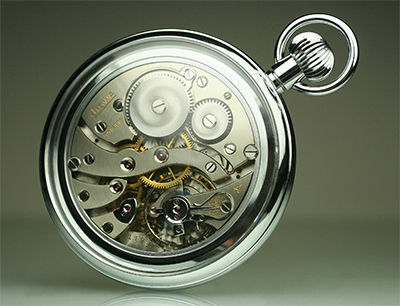 A very precise movement is ticking inside the STOWA Marine pocketwatch. 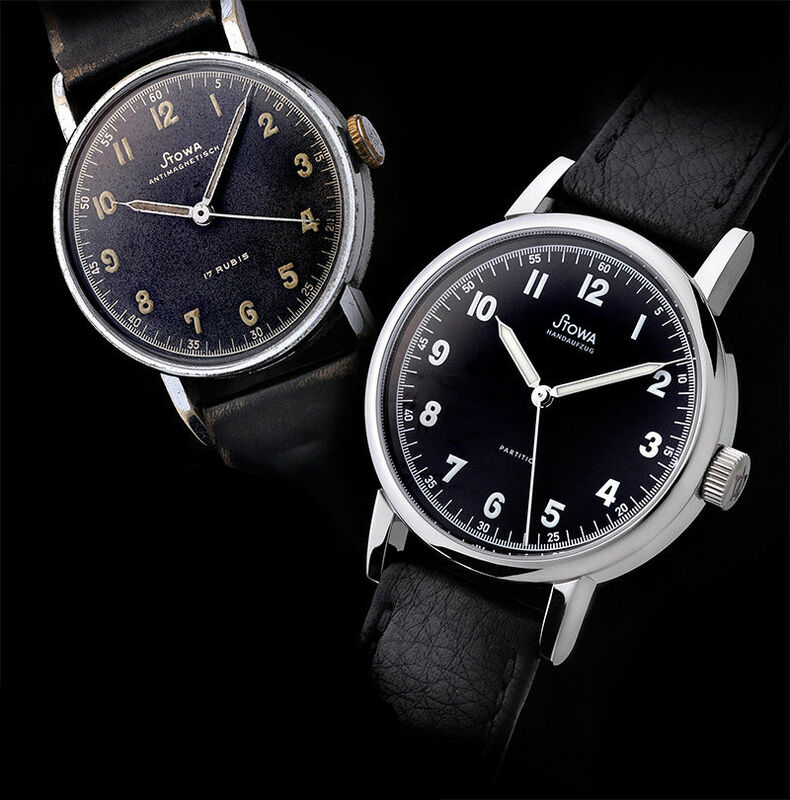 The most famous STOWA watches are the big Pilot watches with the Baumuster "A" dial (see below, since 1940) and the Baumuster "B". The big cases (55mm) enabled carrying the watch above the leather jacket. From 1942 onwards there was the second version. The so-called Baumuster "B" dial. A big external minute scale and a small internal hour scale marked this design. The movement of the large pilotwatch was very precise. It has to pass the elaborate tests of the chronometer checkpoint. STOWA is building a company building in the Bismarckstraße 54 in Pforzheim, to handle the constant growth. Antea. Inspired from the German Bauhaus. 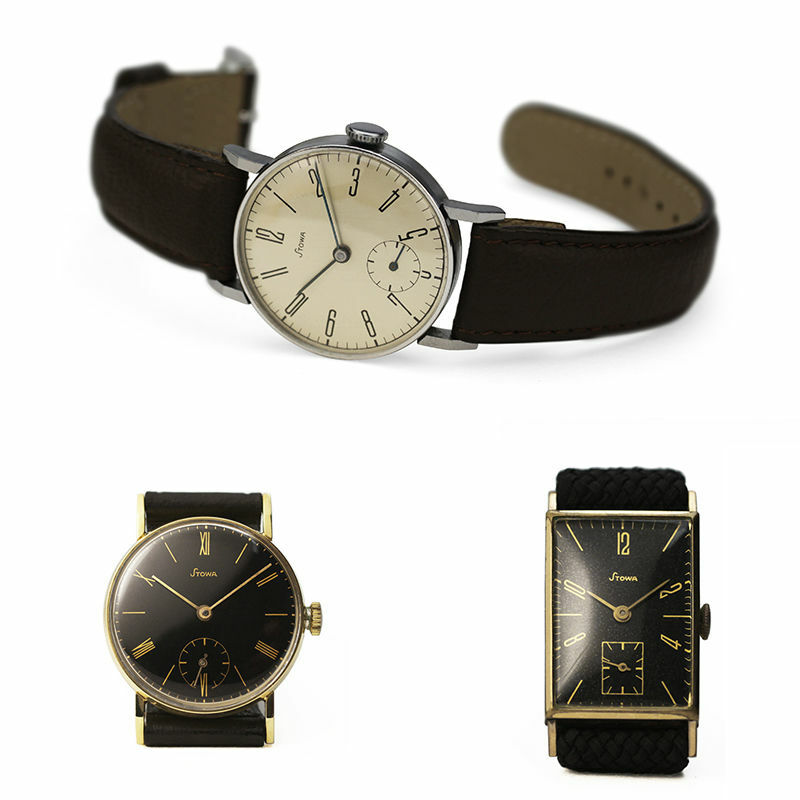 Since 1937, STOWA produces watches in the style of Bauhaus. The small number of watches existing from that period prove that not many companies realized this, by the standards of the time, new design. However, this plain and timeless design is well established today. More interesting watches from that period can be seen at the STOWA museum in Engelsbrand. May it be a small, solid gold watch for women with Roman numbers or a rectangular gold watch with Arabic ones. Collectors’ hearts leap for joy regarding the two watches depicted above. The rectangular watch is made of a so called desk case (Pultgehäuse), which means the watch case is thicker at 12 o’clock than at 6 o’clock – to better meet the eye of the beholder. 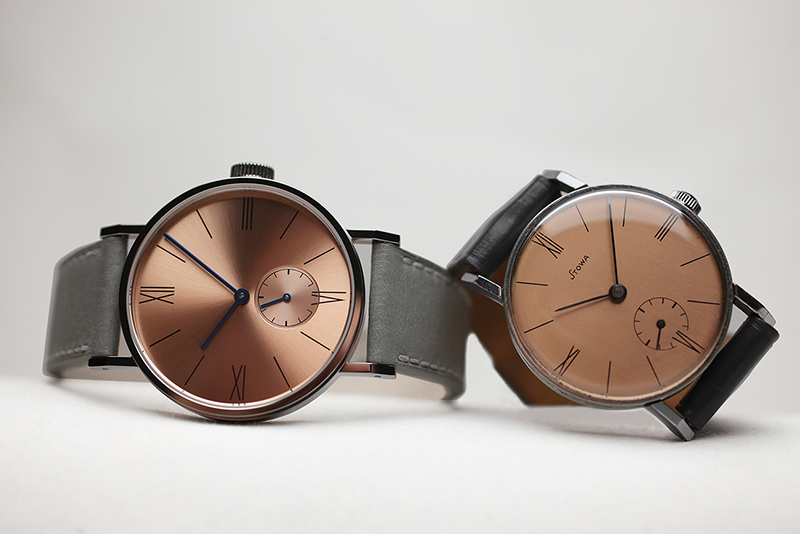 The round shaped watch features a rare color combination: a Roman dial made of copper in a chromed watch case. Gold plated rectangular Bauhaus-style watch. Roman numbers. 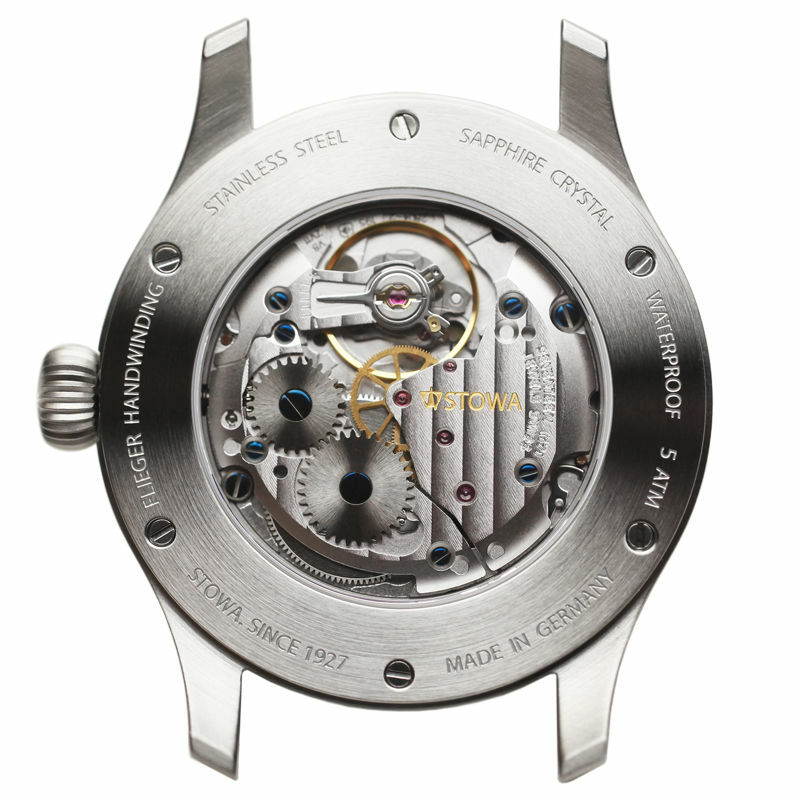 Rectangular movement with STOWA engraving. 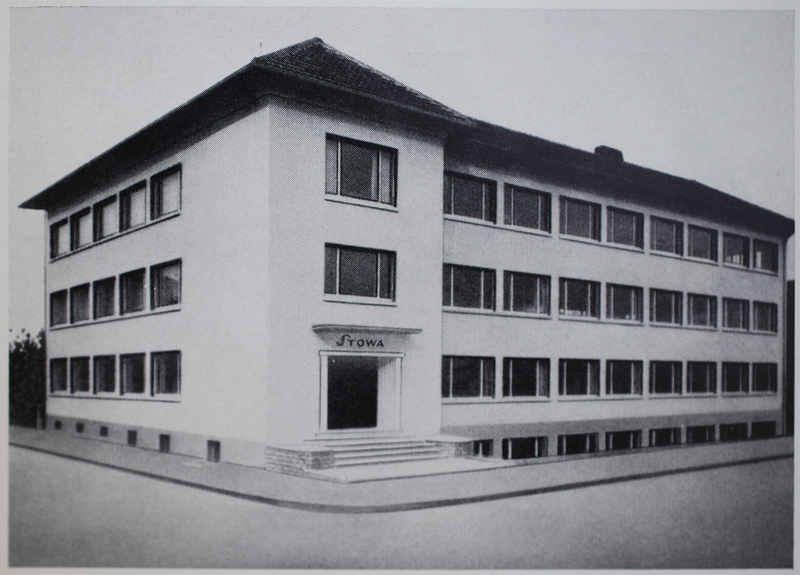 1935, eight years after the companies founding, STOWA moves to Pforzheim. 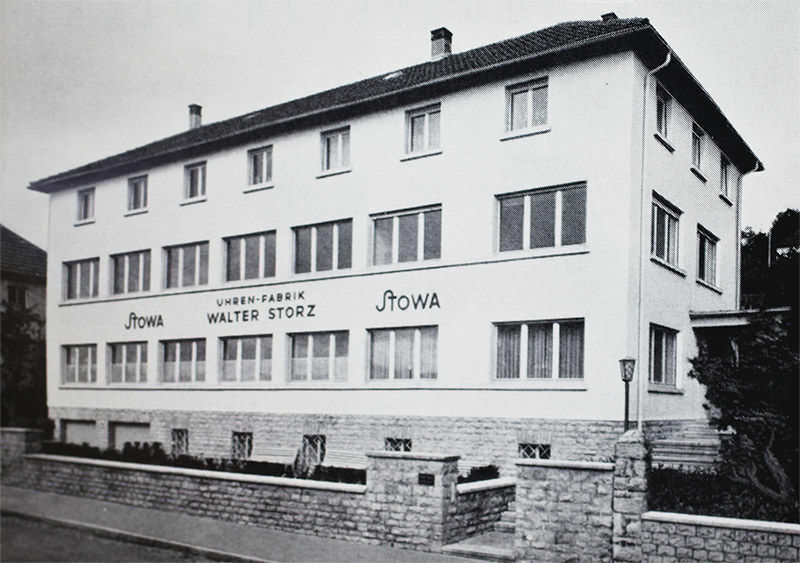 In 1927, STOWA is founded in Hornberg, Black Forest by Walter Storz. A brand should be active! In order to successfully continue the STOWA history we always need your support as a customer and watch collector. Use the opportunity to get in direct contact with us to send us your criticism and suggestions. Help us also if you have any old STOWA watch of which you might even know when the watch was built. We are collecting everything to constantly improve and complete the STOWA timeline. Thank you so much! Your STOWA team from the Black Forest.